The story of this extraordinary cheese began many years ago when a Dutch master cheesemaker named Pieter got lost deep in the Italian countryside. Chance brought Pieter to the home of Guiseppe Paradiso, a gracious old man who put Pieter up for the night and sent him off the next morning with homemade bread and cheese. So delightful was the cheese’s taste: smooth, buttery and popping with a refined crunch and a bold tang, that upon returning to Holland, Pieter couldn’t stop thinking about it. Pieter retuned to Italy a few years later to find out Mr. Paradiso’s cheese making secrets, but the old man had passed on. Determined to replicate the Italian flavor he loved so well, Pieter dedicated his life to perfecting his recipe. Once achieved he named his masterwork: Paradiso. Today Paradiso still holds the heart of two countries. It is made in the Italian specialty style by Dutch artisan cheesemakers using sweet, creamy milk from free-ranging cows that graze Holland’s nutrient-rich grasslands. All natural, gluten and lactose free, Paradiso is semi-firm and has a smooth, creamy texture with some characteristic crystallization throughout. Its wonderful flavor is akin to Grana Padano or Parimgiano Reggiano but with an affirmed impression of the unique Dutch landscape. 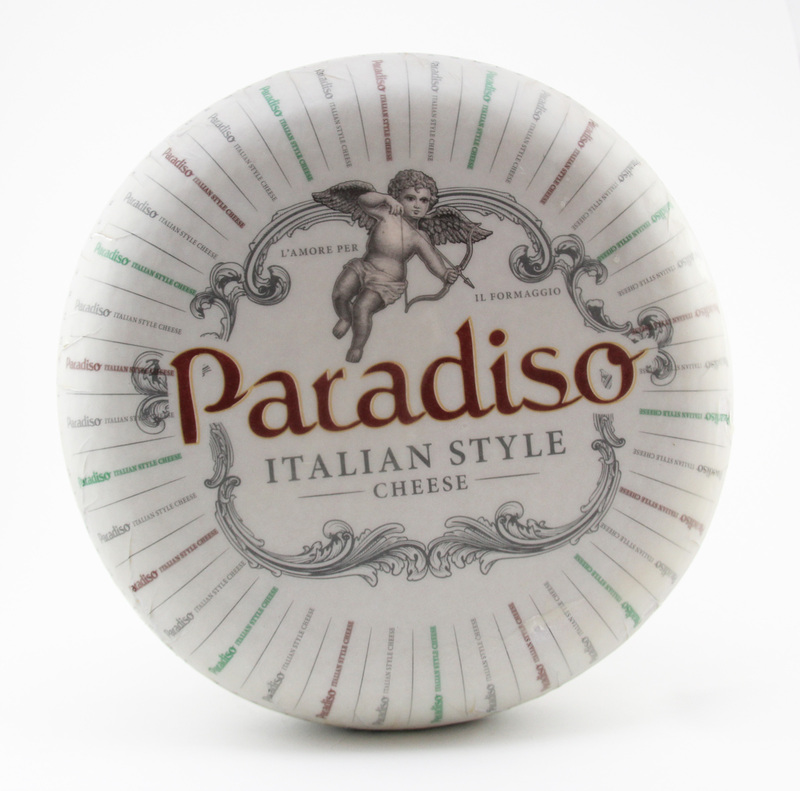 Application: Paradiso is ideal for anything calling for any Parmesan type cheese. Grate or shred over pasta, polenta, potato, meat and vegetable dishes, into salads, soups and stews or cube for snacks and entertaining. Pairing: Try it with a Chianti Classico. For beer a lager style complements the fresh creamy qualities. 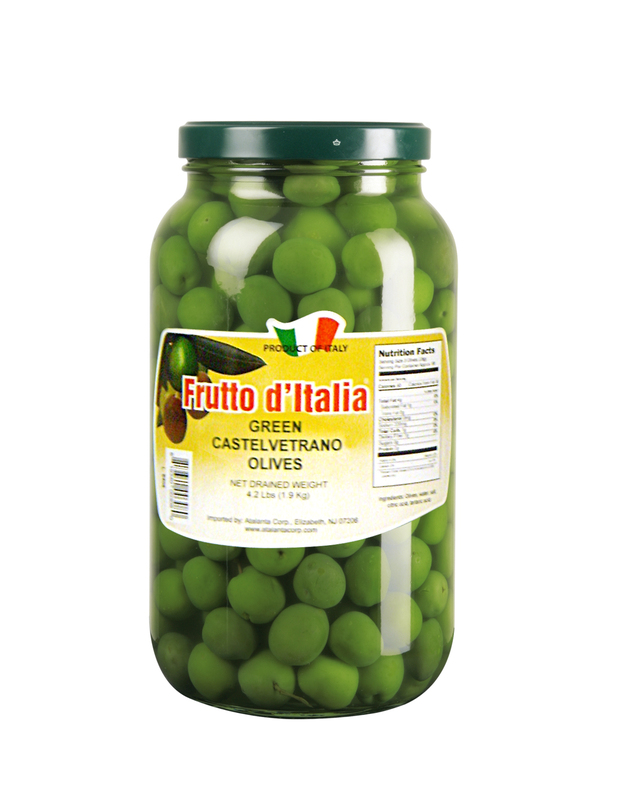 Green Castelvetrano Olives have a distinctive golden green color with a mild and buttery taste. Medium sized and oval shaped they have a crisp and crunchy pulp. Application: Use as a table olive and for all antipasto. Slice and mix with your favorite greens to create an appetizing salad.